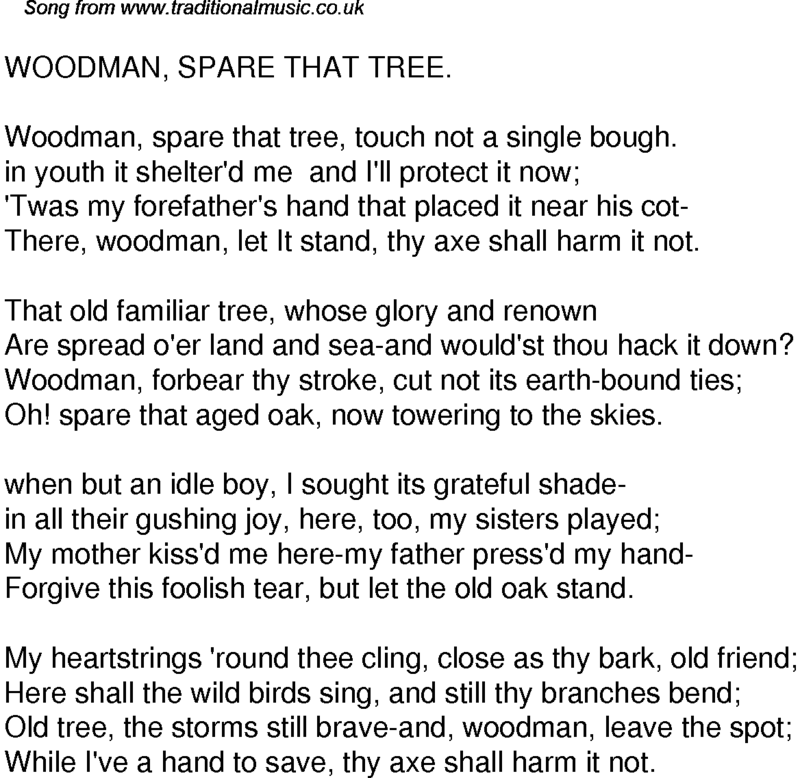 Woodman, spare that tree, touch not a single bough. There, woodman, let It stand, thy axe shall harm it not. Are spread o'er land and sea-and would'st thou hack it down? Oh! spare that aged oak, now towering to the skies. Forgive this foolish tear, but let the old oak stand. While I've a hand to save, thy axe shall harm it not.